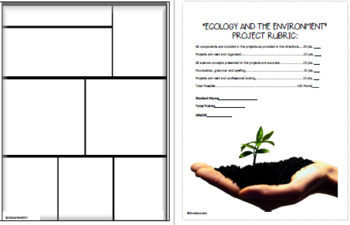 Ecology Projects and Ecology and Environmetn Vocabulary Handouts! 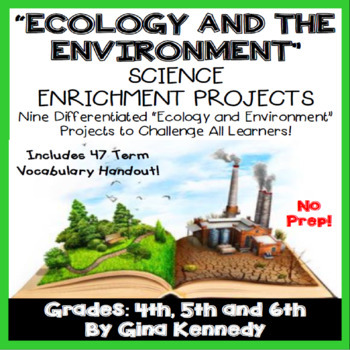 Ecology and the environment fun and creative projects. Your students will love completing these projects while simultaneously learning about how different components of the Earth have been affected by pollution, global warming and other damaging factors. 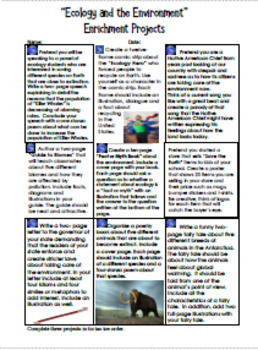 From writing a speech to present to an "Ecology" panel to creating an Antarctica fairy tale; your students will love the projects included with this resource. 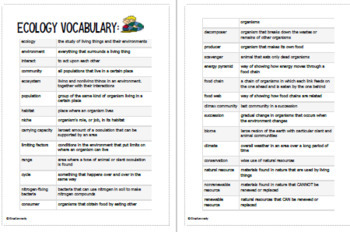 I have also included a rubric and complete vocabulary handout. Albert Einstein Unit, Poetry, Biography, Reading Skills, Enrichment Projects!